Volatile Spirits: Cheer a Child - a Campaign all of us should join! Festivity is in the air. While you gear up for the celebrations, spare a thought for those who never do. 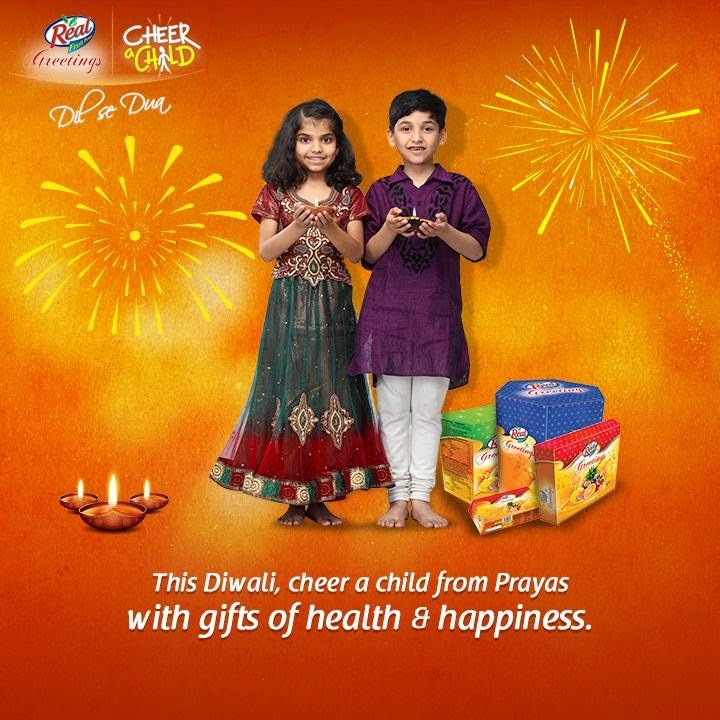 Dabur India Ltd, a brand we all know of, along with Prayas Juvenile Aid Centre Society have launched a programme in major cities of Delhi - NCR, Uttar Pradesh, Punjab and Maharashtra in order to bring a smile to underprivileged children. All that one has to do is to give a missed call to +91-7053123123. The caller would receive an automated call back and he can record a wish for a child. And for every wish recorded, one pack of Real fruit juice would be committed to a child in need. Further, a dedicated team from Réal will visit big markets across these states to garner support for the neglected, street and working children. They will educate people about the nutrition needs of underprivileged kids and encourage them to sign on a pledge to support these kids. Against each signature, Dabur has committed to give one pack of Réal fruit beverage to a child in need. This initiative is not linked to any product purchase and all that is required from the people is a signature or a wish as a mark of their support. Isn't this a wonderful opportunity to spread cheer among children? Please find out more by watching the video here.